HRT does whatever it takes to protect and develop habitat. 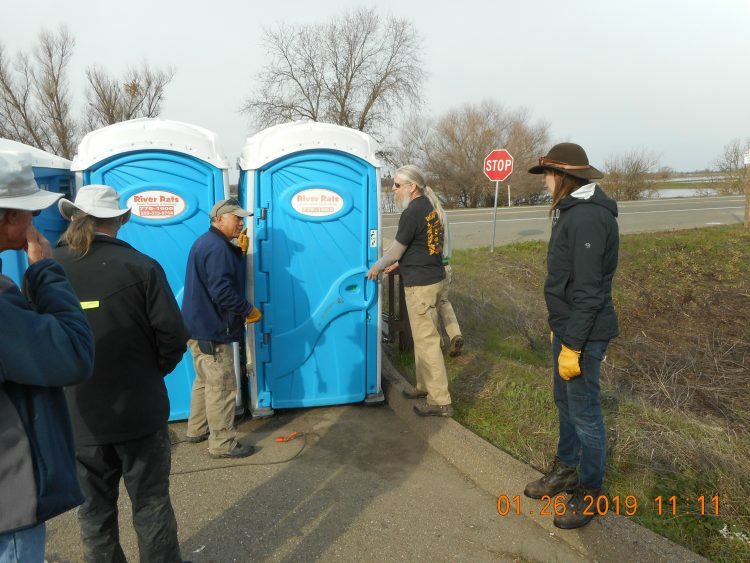 During the 35 days of the Federal Government shutdown, The Cosumnes River Preserve was crowded with visitors and the toilets were locked and unavailable. BLM is part of the Federal Government so they locked up everything they have control of. That included the two “vault toilets” in the upper parking lot of the Visitor Center. TNC, however, is a private nonprofit and TNC owns half of the upper parking lot. 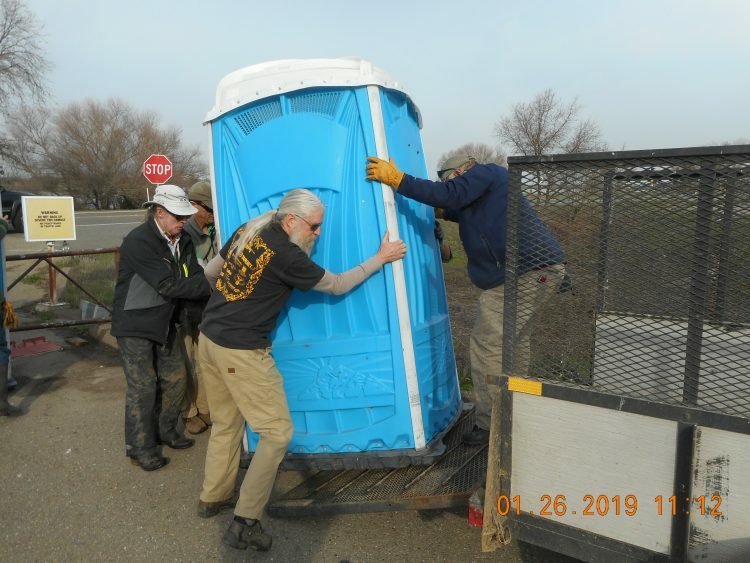 As Alex was checking that lot, a woman approached him asking, “Where are the nearest restrooms?” “Three miles down the road”, responded Alex. There was no way that Alex was going to let that go on for the duration of the government shutdown, so he fixed it. 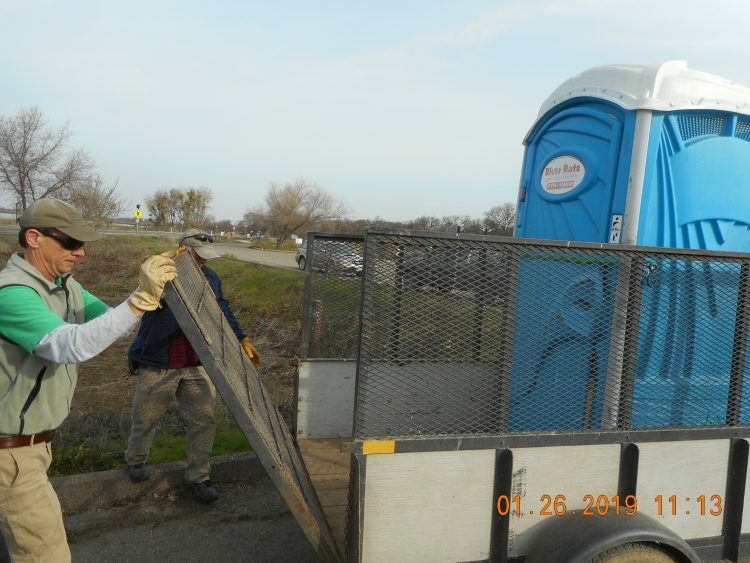 Alex got permission to rent three porta potties and he chained them to the parking lot gate. 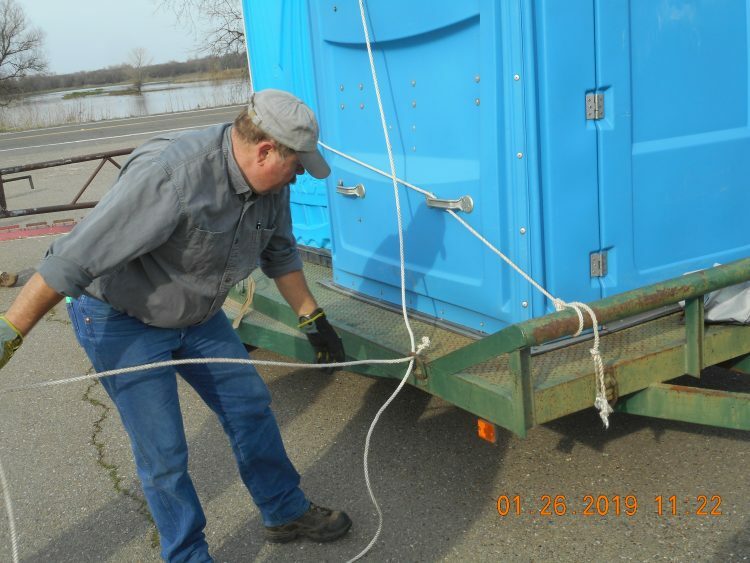 He had to chain them because thieves steal porta potties. 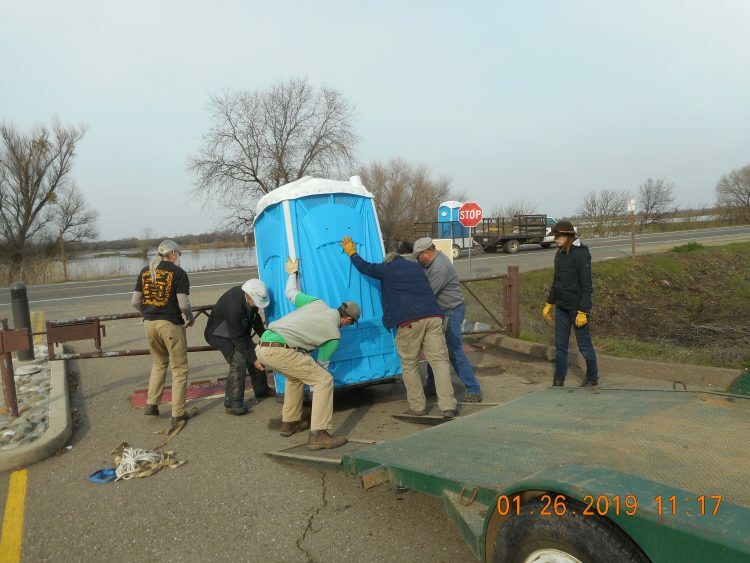 That took an extra $410 a month out of The Cosumnes River Preserve’s budget. A lot of people visit The Preserve and we value their appreciation. We want their experience to be a quality one and a safe one. In turn, our visitors stayed on the trails and in the public places, guided of course by our volunteer guides and interpreters. 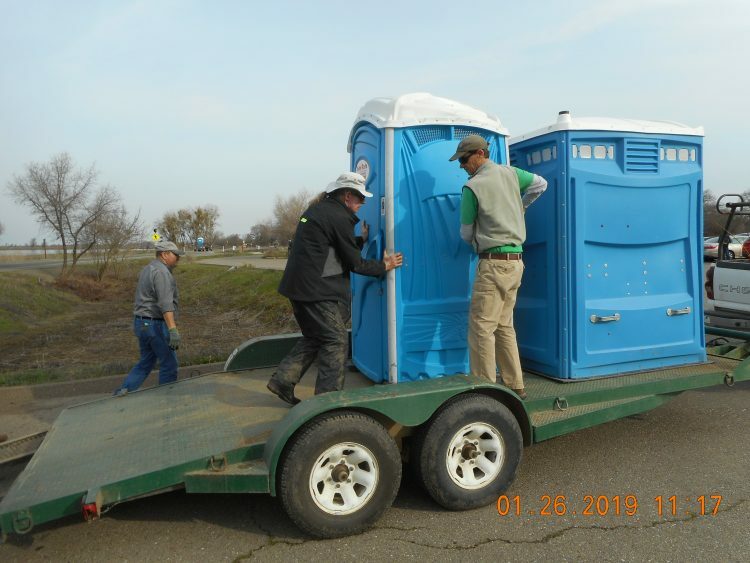 When the government shutdown ended, HRT volunteers shuttled the porta potties back to The Barn so the vendor could pick them up. It was a hassle that was well worth the effort. Thanks, Alex, for making it all happen. 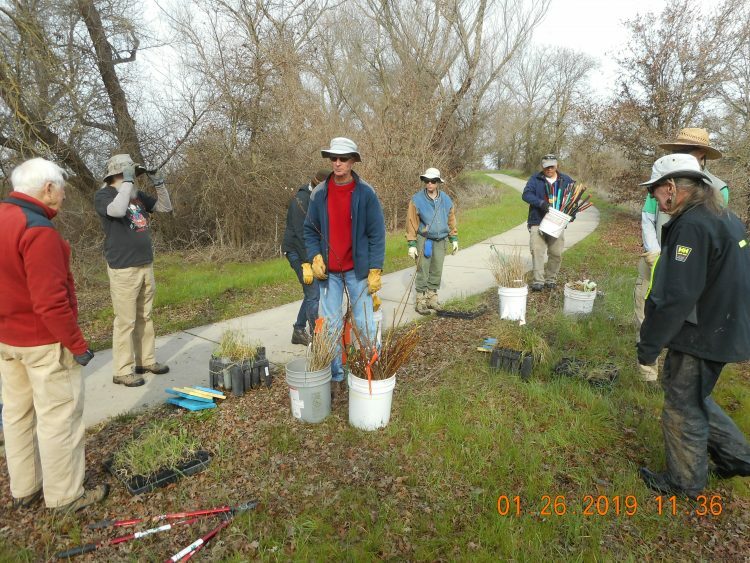 Spoiler alert: After we transported the porta potties to The Barn, we finished the day doing what we enjoyed the most: Planting “understory” shrubs and grasses in a historical field of Valley oaks.